Studded Cat Ears on Headband. Classic book and movie character Nanny McPhee style plastic funny fake teeth. Look purrdy as a rocker kitten this Halloween. Long cat tail. Gothic Cat Dress Up Kit. 5 Piece rocker cat dress up kit. 5 Piece cat kit. Pretty diamantee cat mask. Choker collar. 1 x Choker Collar. 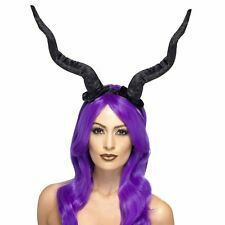 Ladies Demonic Evil Queen Horned Headband. This Realistic Horned Headband make a great addition to your Villian-ish Appearance! Black Plush Horns. Easy to wear on headband. 1 x Headband. Evil Queen Inspired. Deluxe Devil Kit, Wetlook, Red, with Floral Headband & Tail. “Its Great, its British, its Smiffys”. Safety: At RH Smith we take our responsibility as a supplier of family products very seriously and are continuously looking at ways to enhance our already high standards of safety and quality. Deluxe Devil Kit Wetlook. Halloween Accessories. We will always strive to solve any issues you may have. Red, with Floral Headband & Tail. 60s, 70s and 80s. One size (adults). Tutu size guidelines to fit up to a UK size 12. Devil Instant Kit. Mini Wings. Kit includes;. You are advised to test any face paint / make up / hair products on a small area of skin prior to general application. Zombie Bunny Kit Grey & Red with Headband Gloves & Tail . Adult's flesh coloured jumbo feet. Snooker & Pool. Clothes, Shoes & Accessories. Real look flesh with veins. We are committed to making life simple for you so whatever you are looking for we'll find it for you. 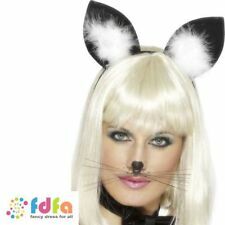 Black Formal Cat Set -Tail, Ears, Bow and Cuffs Ladies Party fun Accessories. Sequins boarder the edge of ears, bow tie and cuffs, the padded tail has a sequined tip. Cat ears on the headband. Pair of wrist cuffs, Velcro fastening. 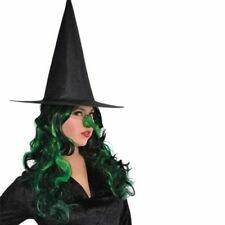 A brilliant set which features a green latex stick on crooked nose, a witch chin and pointed ears! Includes a latex based adhesive. Great for Halloween! 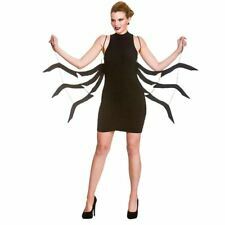 Adult fancy dress accessory. Not a toy. Here we have the Witches nose flesh coloured with wart on elastic. Ideal to complete your Witch look this Halloween. 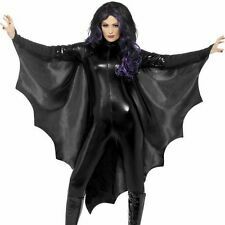 Vampire Bat Wings, Black, with High Collar. You may use the model cancellation form at the end of these instructions, but it is not obligatory. Image Gallery. B Model Cancellation Form. Long Crone Witch Nose Green. Childrens size official Disney fancy dress round black Mickey Mouse ears on a headband. Red diamond net tights. Adult fancy dress accessory. Not a toy. HALLOWEEN FAIRYTALE ELF BROWN EAR TIPS Mens Ladies Fancy Dress Costume Accessory. Condition is New with tags. Dispatched with Royal Mail 2nd Class. We will always here to solve them for you. It won't help the problem to be solved. Color: black purple. Attaches to Arms with Elastic Bands，Encourages Interactive Physical Pretend Play in Kids. Not intended for use in play by children under the age of 14 years. This classic Halloween accessory is sure to spice your Halloween up! A fancy dress favourite. Red Devil Tail. Dress as a naughty little devil! Red plush tail. 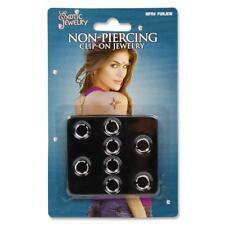 Classic Halloween accessory. Black Feather Angel Wings. SHARE WITH A FRIEND. WATCH THIS ITEM. Receive an order within 24 hours! ORDER BY 1PM. Be the First to Know. 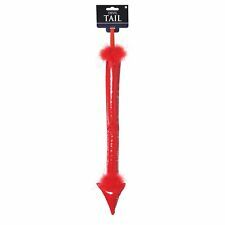 Rubber ear points Special effects fancy dress accessory Transforms your ears into pointy shapes Ideal for witch, fairy or elf fancy dress Easy to use and remove Colour: flesh . We will always here to solve them for you. It won't help the problem to be solved. Attaches to Arms with Elastic Bands，Encourages Interactive Physical Pretend Play in Kids. Color: black purple. 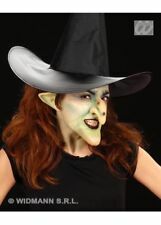 Suitable for both adults and children, our amazing fancy dress crooked warty witch nose on elastic is great for Halloween!